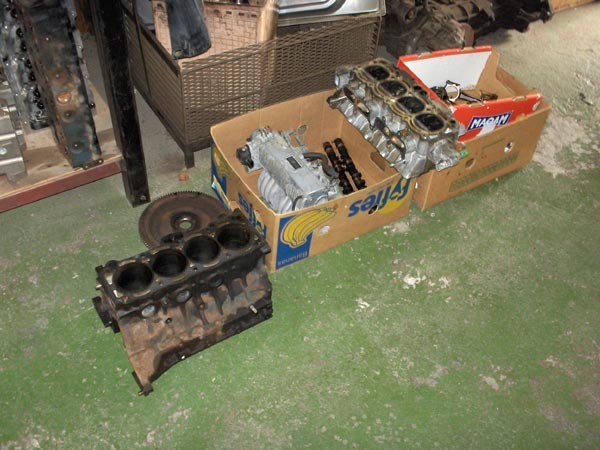 After dismantling the 4A-GE, I brought several engine parts to a engine remanufacturer that would bring the engine back to spec again. I don't have a lot of pictures of the remanufacturing process itself as I wasn't there while they did it. But I'll list what has been done on this page. The parts I left with the engine remanufacturer. 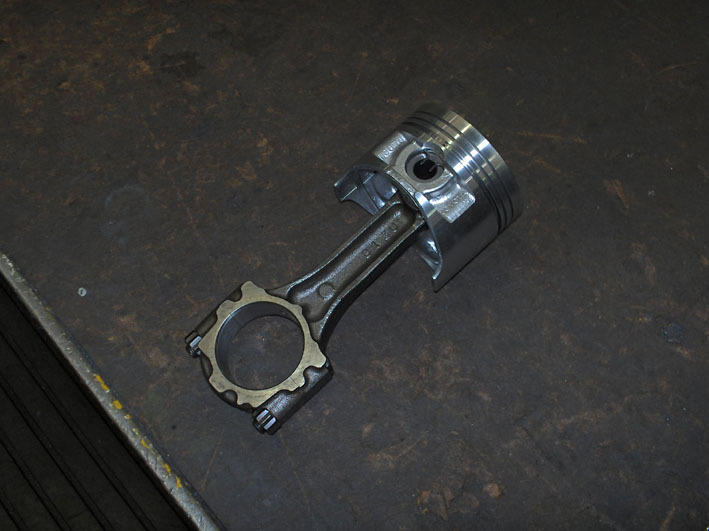 They would first look over all the parts and make some measurements of the cylinders, pistons, crankshaft, connecting rods, bearing caps, etc., etc. This way, they could check how worn the several parts actually were and to see what needed to be done to get them back up to spec. After a few days, I got a phone call with their findings. We discussed it all and made a plan on what I wanted to be done and gave them the go ahead. They but the head back together for me as well. I asked them to do this, as I was going to use new HKS 264º camshafts. 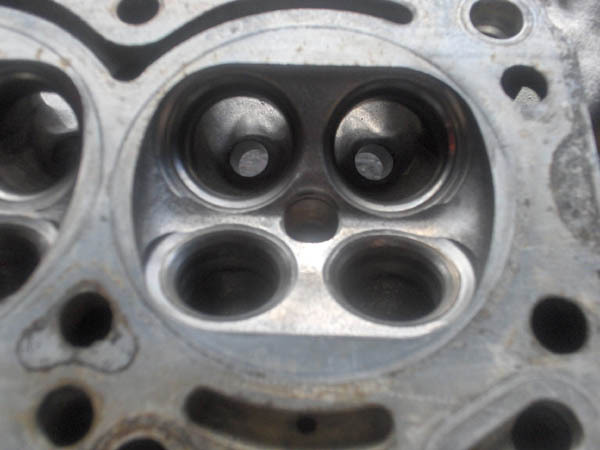 And when the camshafts are changed out, you need re re-shim the valve train in the cylinder head. The remanufacturer has a large assortment of different size shims so it was easy for them to swap them out. If I had to do it myself, I would had to order several different shims from the dealer. So all in all, this seemed easier to me. I popped in there while they were working on the engine just to see how things were coming along. And this is what they could show me after a few weeks. 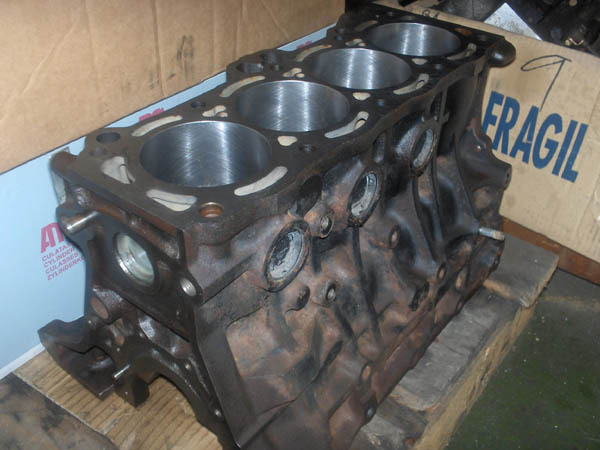 A completely disassembled and cleaned cylinder head. 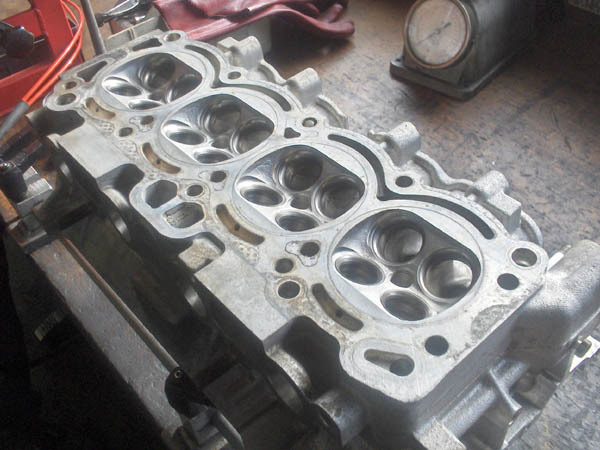 A cleaned, bored and rough honed cylinder block. After a while, I could collect the parts and I took them with me to work to clean it all a little more. 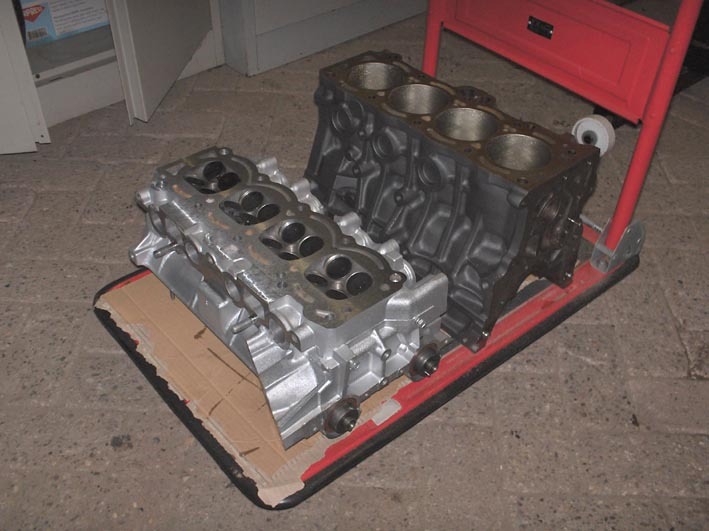 A fully remanufactured cylinder head and cylinder block. Sandblasted and coated against corrosion. 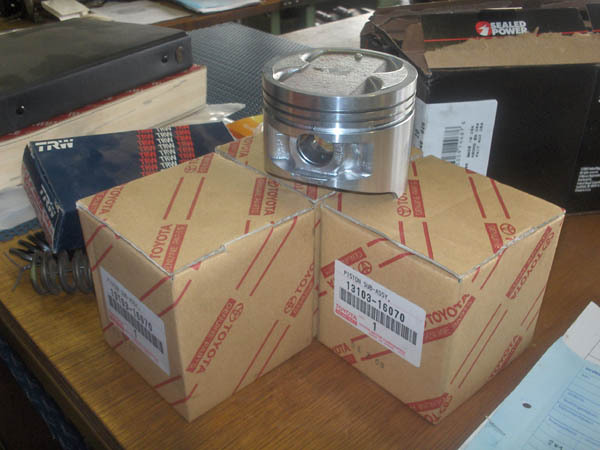 New pistons fixed to the connecting rods with new piston pins. Now that all the machining work to the engine was done, I could start to re-assemble the engine again. You can read about this on the '4A-GE rebuild' page.